Home » Exciting keynote talks at SummerSim 2018! 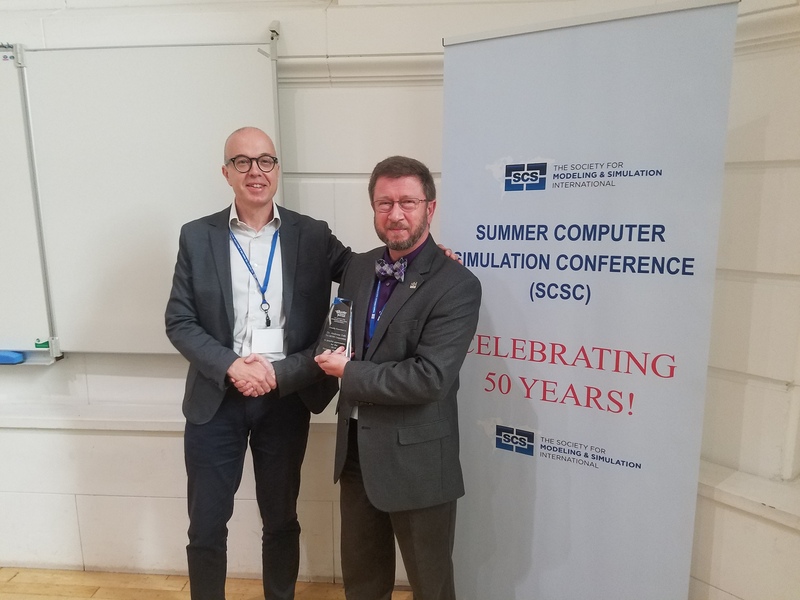 Two excellent keynotes have been given during the 2018 Summer Simulation Conference (SummerSim'18) held in Bordeaux (France), July 9-12. Andreas Tolk has given a keynote on "Simulation and Modeling as the Essence of Computational Science", in which he has illustrated how modeling and simulated based research contributes to improve computational sciences, including having a look at the supporting philosophy of science perspectives. Wil van der Aalst has given a keynote on "Process Mining and Simulation: A Match Made in Heaven! ", in which he has introduced process mining concepts and showed how to discover simulation models, how to view real and simulated event data in a unified manner, and how to make process mining more forward-looking using simulation. Andreas and Wil have also contributed two keynote papers, which will soon be available on the ACM Digital Library (more details will follow). Many thanks to Andreas and Wil for their insightful and inspiring talks!